White shoes have dominated for several seasons, however, come September, it's going to be overtaken by something a little wilder: animal print. Net-a-Porter Fashion Director Lisa Aiken revealed that the site has bought over 152 animal-print accessories for A/W 18. But it's not just about leopard—there are zebra, cheetah and even tiger prints in the mix. 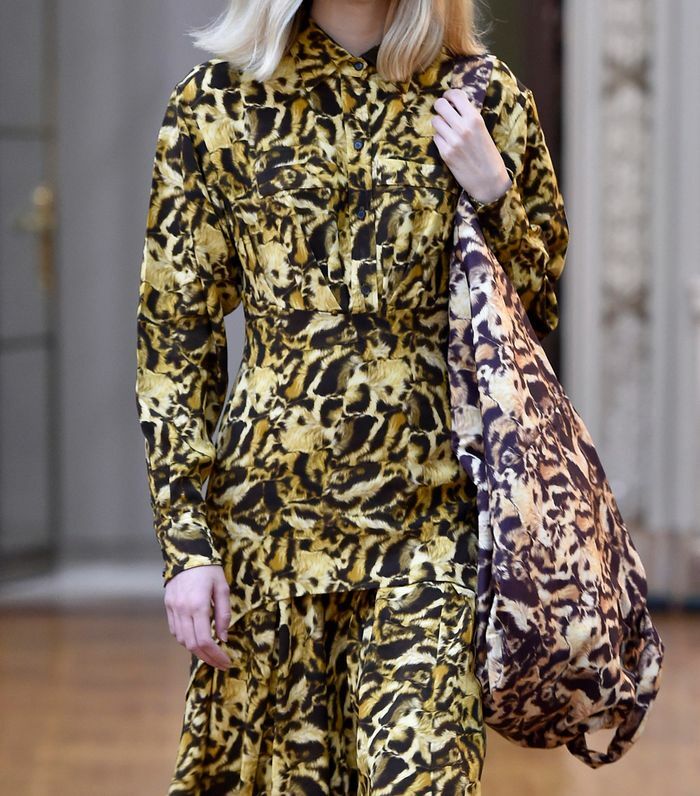 Animal prints are a key trend for next season across the board—even Victoria Beckham is into leopard print, as her recent collection looked more Scary Spice than Posh Spice. Beckham might be known for her more minimal and classic styling; however, for autumn, she paired a belted leopard-print trench with a supersized tote bag in the same pattern. If you aren't quite ready to wear more than one animal-print item at once, then use leopard-print pumps or a handbag to liven up any outfit. Animal-print accessories might sound attention seeking, but they will actually go with almost any outfit, as leopard print has become something of a neutral. You don't have to wait until September to invest in this trend, either. We've found plenty of summer-ready printed pieces below. Style Notes: Leopard-print accessories look amazing when worn with floral or other clashing prints. Style Notes: Animal-print stilettos always look expensive. Style Notes: You don't have to wait until September to wear leopard-print boots, as they look amazing with minis in the summer too. This is a fabulous of-the-moment handbag. Gucci is convincing us on the zebra trend. Loewe is also onto the leopard-print trend. A leopard-print suitcase? Yes, please. We love the silhouette of these shoes. Zara is already sporting this trend. One of our editors has this bag and loves it. You can wear these all year long. Classic stilettos always look amazing in leopard print. This bucket bag comes with a handy shoulder strap.